Concierge Booking Our team is here to help you plan, quote and book extraordinary Tasmanian experiences. 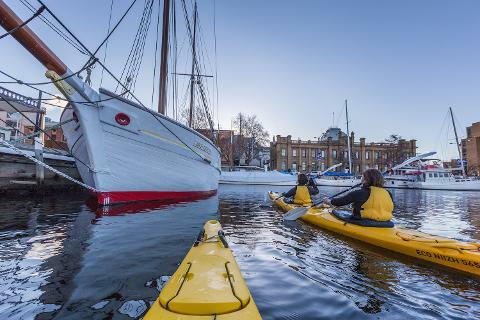 Visitors to Hobart must do themselves a favour and spend some quality time at Constitution Dock. The dock is home to a portion of Hobart’s fishing fleet and not only used by fishing boats, but by personal yachts and a variety of other vessels. 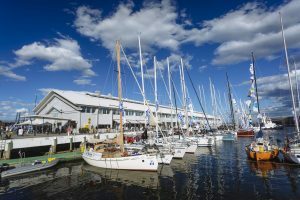 This area in the port of Hobart is famous for being the finishing line for the annual Sydney to Hobart Yacht Race, which begins on Boxing Day (the day after Christmas) and usually wraps up to a cheering crowds on New Year’s Eve. Image thanks to Mitch Osborne. 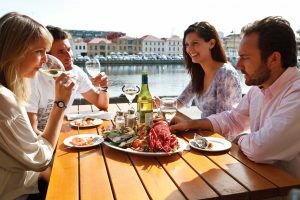 However, it is well worth a visit anytime of the year, whether to have a meal at one of the many seafood stalls or waterfront restaurants, shop at nearby Salamanca Place, or visit one of the historic buildings and learn about the fascinating history of trade and commerce in the region. Image thanks to Tourism Tasmania & Nigel Honey. Constitution Dock is centrally located and just a 5 minute walk from the city centre. It is on Sullivan’s Cove at the southeast end of Franklin Wharf. Given its central location, there are many hotel options within a stone’s throw of the dock that cover a range of budgets, from shoestring to five star. 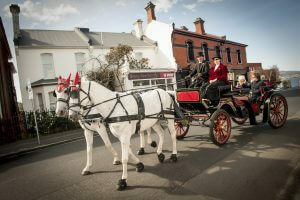 For history buffs, this area will be of particular interest and merits taking a walking tour. Spend time exploring the various building and monuments which stand to this day as a testament to the rich history of the area. Take special note of the Hobart Heritage Steam Crane (built in 1899) and the 1935 drawbridge (still in operation). For those looking for a bit of shopping, consider passing an afternoon visiting galleries and craft shops that now inhabit many of these restored buildings. The Tasmanian Museum and Art Gallery (TMAG) is the perfect place to bring the entire family and take in an exhibit. Afterwards, enjoy a meal of fresh, local seafood. 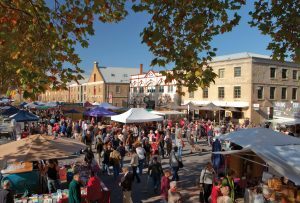 On Saturday’s, the market at adjacent Salamanca Place will be in full bloom and is a top tourist attraction. Savour and delight in local delicacies while enjoying the buskers and entertainers on the street. 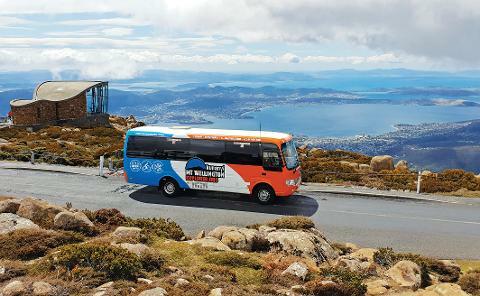 Image thanks to Tourism Tasmania & Hobart City Council. The northern end of the dock is home to some of the city’s most popular seafood restaurants and fish and chips stalls. Whether looking for a sit down experience or a meal on the go, this is the place to be for the catch of the day. For more options swing by the Salamanca Market on Saturday, which features a wide range of cuisine. Image thanks to Tourism Tasmania & Nigel Honey. 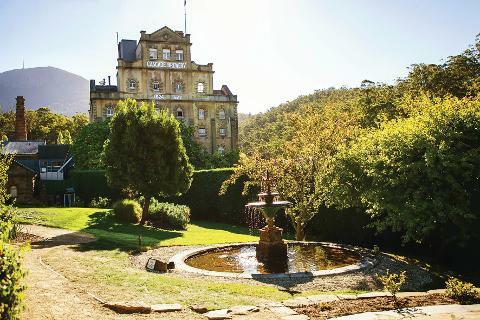 Tasmania is also known for its world-class whisky, so consider sampling an award-winning whisky at the distillery. 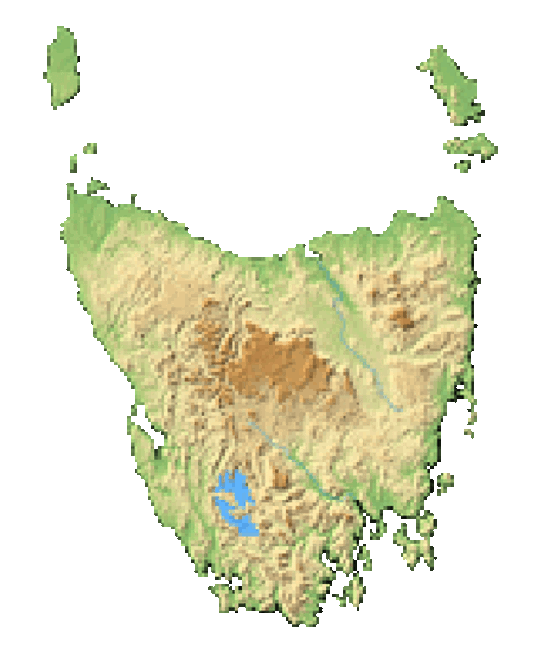 Historically, this part of Tasmania was its lifeline to the rest of the world. The harbour was the gateway for trade and commerce and water the key medium for transport. Whether for business or pleasure, visitors and businessmen alike arrived here. The Georgian sandstone warehouses that line the waterfront and now serve as restaurants and galleries were once filled with grain, fruit, vegetables, timber, and a plethora of other materials and produce that were delivered by boat. Large piers were built out into Sullivans Cove, complete with mobile cranes that ran on railway tracks and were used to unload ships. Truly a hub of activity, the harbour was the key juncture for large-scale deliveries. In honor of times past, visitors can still view some of the equipment to this day which remains in the harbour. In modern times, the harbour is still home to range of vessels (even Antarctic research vessels and cruise ships), but it no longer serves as an entry point for large deliveries and unloading of ships. Most large shipments are now sent via rail from the north of Tasmania. The dock is close to other monuments and remnants from the past, including a burial ground in St. David’s Park and the historic houses of Battery Point. Image thanks to James Spencer. 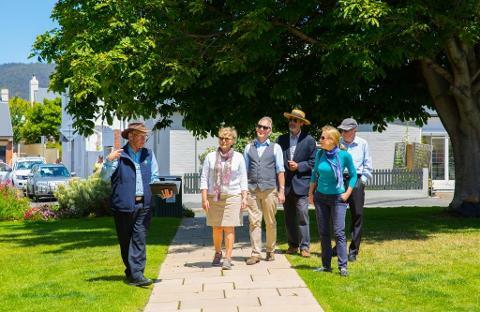 An interpretive 1.5 hours guided walking tour of Hobart’s historic highlights. When you book with Tasmania.com, book with confidence.